Charm bracelets are a popular trend. They can be used to show your likes, friendships, activities, and even love. 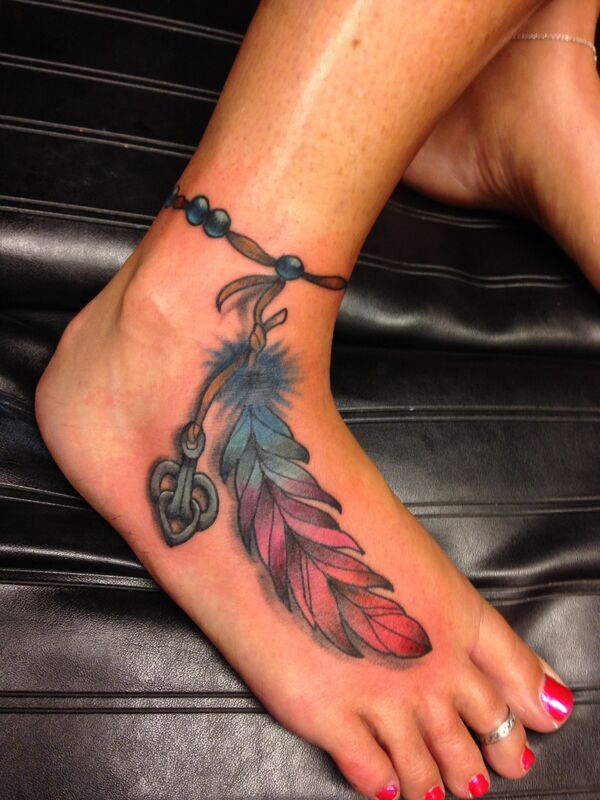 Many people are taking them a step further to become permanently etched on the wrist or ankle. While this trend hasn't been pinpointed to one person, charm bracelets themselves have been around for centuries, dating back to ancient Egyptians and Romans. However, interest in charm bracelets seemed to spark back up in the early 2000s, and the shift to taking it to the permanent level came not long after. Charm bracelet tattoos range from simplistic styles with one charm to bracelets with multiple charms that go around the wrist or ankle. 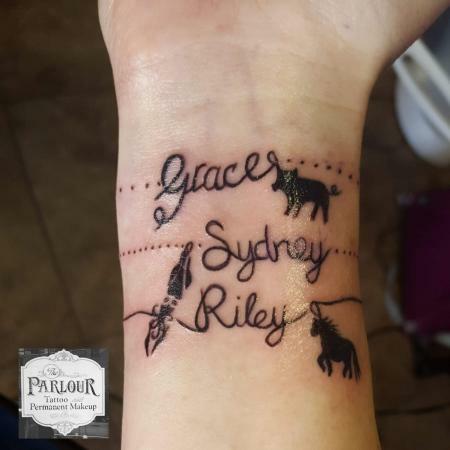 The charms typically hold an individual meaning to the person that is getting them tattooed and can be morphed to include not only charms but names, dates, and other flourishes. While it would seem like this tattoo would be pretty gender specific to the female variety, depending on the line work, charms and details, this can become a very masculine tattoo as well. Think of a tattoo mimicking a leather band with a single wolf charm dangling along the wrist. You might be thinking if you have seen one charm bracelet you have seen them all. However, one of the most fun aspects about this design is how customizable it is. You can find some common themes like hearts, but some people really get creative with names and multiple charms that tell a truly unique story. A common theme among charm bracelet tattoos is hearts. This makes sense since jewelry and love go together like Valentine's Day and roses. While the theme might be common, the designs are really anything but. 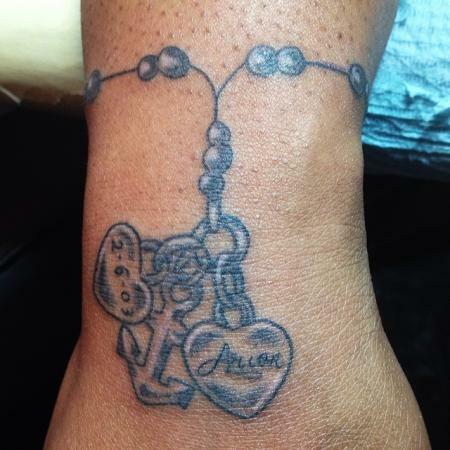 You can choose to get an ankle charm bracelet tat with several heart charms. Or, you might choose to get a heart and key single charm. In addition to adding heart charms, you can make your permanent bracelet completely unique by adding names and dates. This is a great way to celebrate your spouse, kids, family and other special people in your life. One of the reasons that charm bracelets are so popular is because they give you a unique way to show your personality through charms. Maybe you have letter charms to represent your loved ones or friends. Your love of France could be represented by your Eiffel Tower charm, or maybe you want to show your Viking roots through an ax. 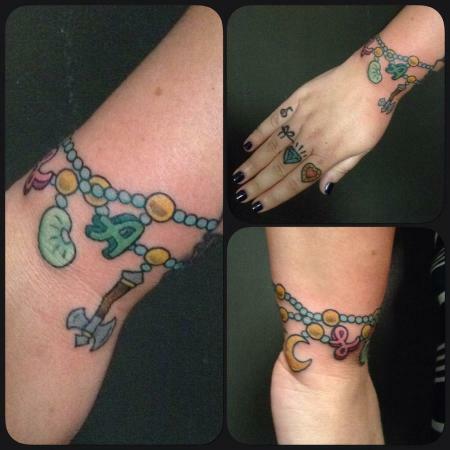 There are so many variations of charms that your tattoo can be unique to you and your life. Just like the real jewelry, you can choose to add new pieces over time. Do you have a love of cats? Do you want to create your bracelet artwork based on flowers? Charm bracelets allow you celebrate all your favorite things. These types of bracelets can celebrate your pet or animal loves through a series of charms or a variety of representations of the same animal. For example, you might have a charm bracelet with cats, foxes, and unicorns. Or, you might have a charm bracelet celebrating butterflies. 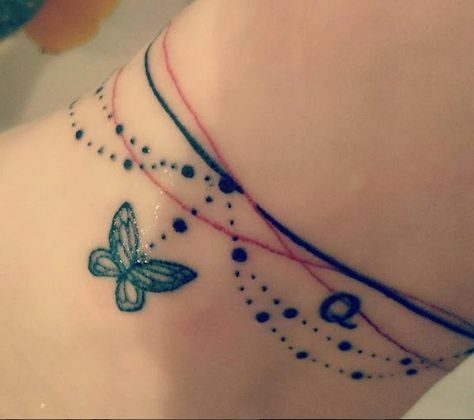 While jewelry will only let you do so much, tattoo bracelets are only limited by your artist and imagination. Not only can you add realistic elements like multi-colored feathers, you can add names to the design of your bracelet that really flow into the charms, making the names become part of the bracelet itself. These can even become larger pieces by having a large charm dangling along the wrist or ankle. Charm bracelets are small pieces, so you would assume that these would be fairly easy to get done. However, that is not always the case. While these tattoos are smaller, the designs themselves can be very intricate with each different charm requiring its own detail and depth. Depending on the number of charms and the bracelet itself, these pieces can take a bit of time to complete. For example, an artist that is completing a simple rope or link bracelet mimicking gold or silver and maybe one or two charms might not take much time at all. But a piece that has an intricate bracelet and different charms trying to mimic lifelike detail will mean longer in the chair. Additionally, maneuvering the wrist and ankle can increase the difficulty, which can add minutes as well. While some pieces can be completed in as little as 20 minutes, others could take well over an hour. It all depends on the artwork and the artist. Tattooing bone hurts. There is no way around it. The wrist and ankle are mostly bone with very little meat. Therefore, it really shouldn't come as any surprise that the wrist and ankle come in high on the pain charts. Getting a charm bracelet tattoo is going to hurt. The pain associated with it might be more intense than something on your bicep or shoulder blade. Modifying the placement of the charms and moving the bracelet a bit up or down off the bones themselves can help. However, it is helpful to remember that these can be faster tats, so while the pain won't last, the ink will. Jewelry is a fun way to add pizzazz to your wardrobe. It makes a statement about who you are and your personality. 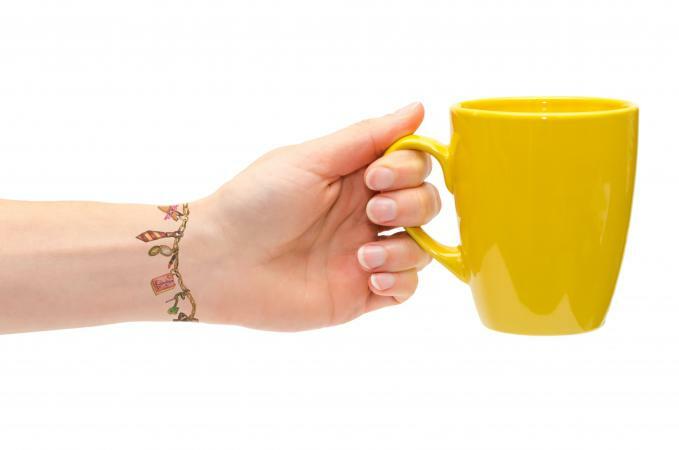 Charm bracelet tattoos are no different. They are unique to your personality and provide a fun look at some of your favorite hobbies or experiences. These tattoos can be simple or contain lifelike detail, and the time involved in creating this form of permanent art can vary based on the design. 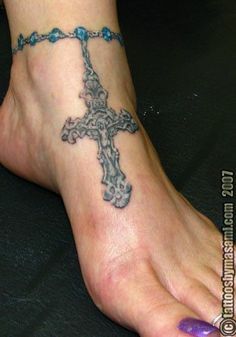 What doesn't vary is the fact that these tattoos are going to hurt since the wrist and ankle are so close to the bone. However, remember that the designs are usually fairly small so the pain won't last for too long. Find a style that fits your personality and get some customized body art.